The company’s headquarters are in Taipei and its sales and marketing are located in Europe (Cyprus). The company also has office in Hong Kong, Europe, Middle East and the USA. Safeguard Anchors specialise in the production of the highest quality fastening systems for construction and industry.Our extensive offerings include both traditional products, which have been used for many years in the construction industry, and innovative, state-of-the-art technological solutions, warranting the highest level of safety, as well as easy and fast application. We are convinced thanks to our continuous involvement in modernisation and raising of quality of our products, improvement of customer service standards and development of our offer, the future will be exciting for both our company and for its distributors.Therefore we are in the process of implementation of several projects aimed, at one hand, to make cooperation with our company easier, and on the other hand, to provide the best possible technical, logistical and marketing support for our clients. Our technical support consists of an experienced group of expert construction engineers, whose task it is to support designers and contractors in the case of innovative and difficult construction projects, as well as to provide optimum and complex selection of fastening systems in typical situations encountered on site. In many cases, tests of our products are carried out in real world conditions. Taking advantage of knowledge and experience of the people, who make up the potential of our company, we cooperate closely with our distributors, adjusting our offer to individual requirements and the needs of every client. Therefore, the products of our company are offered by both traditional sales outlets and sector distributors, rendering services on behalf of the construction market. 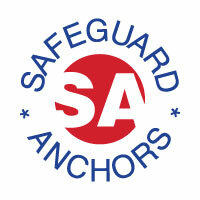 The highest quality and safety standards Safeguard Anchors has implemented a complex quality management system ISO9001. The system encompasses all areas of activity of our company, starting from logistics of orders, up to warranty and maintenance services. Our products are subject to strict and thorough quality control, which ensure the highest quality and safety of use.